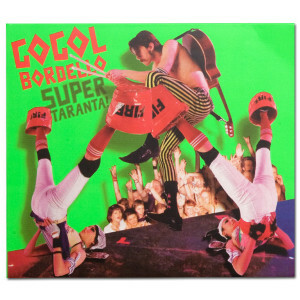 Gogol Bordello - Super Taranta! CD (2007) "With SUPER TARANTA! Gogol Bordello is going to conquer the world,"
boasts Eugene Hutz, Gogol bandleader and agent provocateur. "Everything on the album is taken to the next level. It's more direct, more abstract, more focused, with more dark humor. The dub parts are deeper; the fast parts are faster, its pure orgasmo hysteria."